Our most popular simulator; The Dressage Simulator accommodates riders of all levels from beginners to the advanced. This horse allows you to practise advanced dressage movements, such as: Piaffe, Passage and Half Pass and can also be used for basic arena work. 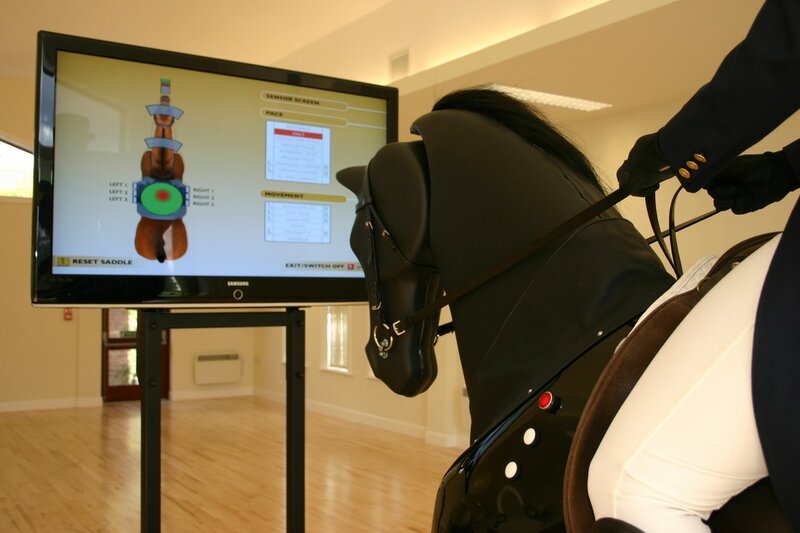 ​The fully interactive Dressage Simulator offers a revolutionary way to focus on skills and balance by viewing immediate visual feedback on seat position and riding movements. It is used worldwide by professionals and amateur riders as an essential aid to training. David Hunt (FEI Dressage committee member, President International Dressage Trainer Club, President British International Dressage Trainers Foundation, British Dressage Director of Training). 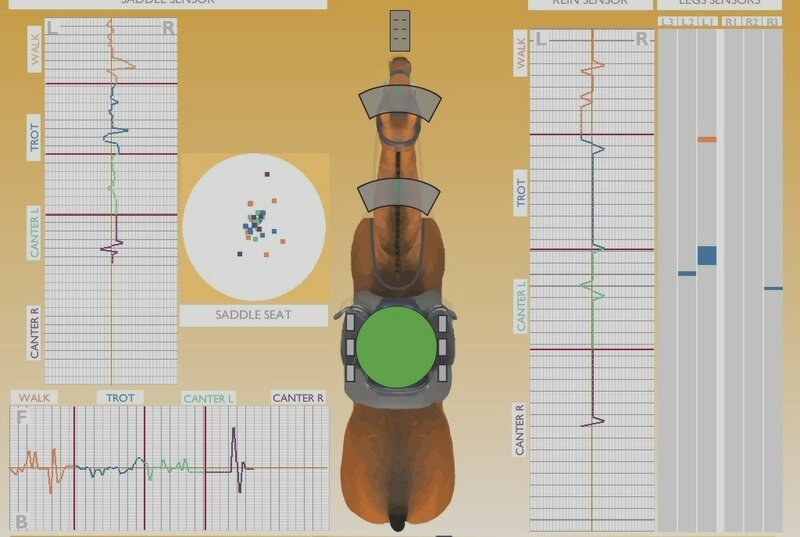 Balance and position in the saddle is displayed on screen - this allows the instructor to analyse and assess what a rider is doing, using information also collected from the rein sensors and leg sensors. 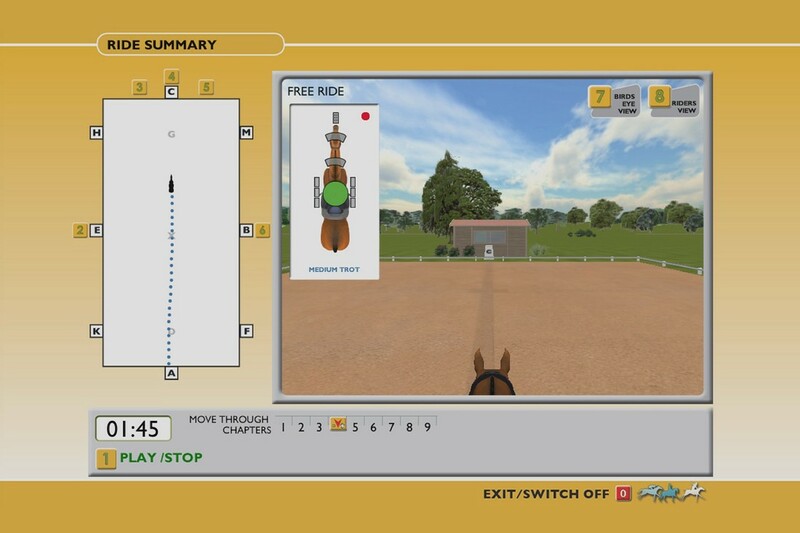 As well as basic ground work, the Dressage Simulator allows riders to practise a number of pre-programmed tests or practice their own. Each test is recorded and can be then played back afterwards for further analysis. The auto-training routine is a firm favourite with instructors as it provides a meaningful and repeatable assessment of rider balance, bit contact and leg pressure though the gaits. It is excellent for assessing what a rider does in the saddle whilst moving completely automatically though walk, trot and canter. All sensors activity is recorded for 1 or 2 minutes and results can be printed off afterwards.